Andrew Brunson, an American pastor being held in prison by the Turkish government, received news a few days ago that he is being granted house arrest due to unnamed “health conditions.” Brunson has spent the last 18 months in a Turkish prison, due to alleged charges of trying to overthrow the government. 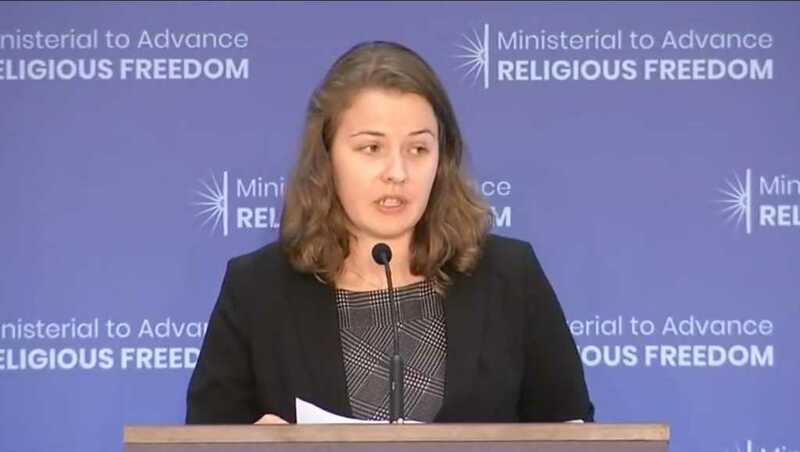 Earlier this week, Brunson’s daughter, Jacqueline (Brunson) Furnari, kicked off a three-day conference on international religious freedom by sharing her story of persecution at the State Department headquarters. Furnari was one of the many members in attendance who has a family member who has been persecuted or is currently being persecuted for their religious beliefs. She was brought to tears during her speech when she stated that her father feels “blessed” to suffer for Christ while imprisoned in Turkey. Pastor Brunson has been a missionary in Izmir, Turkey, for over the past two decades. In July 2016, the Islamic Gulen movement and Kurdish militants staged a coup against President Recep Tayyip Erdoğan’s government. After spending years ministering to the people of Turkey, Brunson was arrested on alleged charges of being connected to the coup trying to overthrow the leader. Over the years the United States has pressured the Turkish government to release the pastor. Brunson has appeared in Turkish court multiple times, but there has yet to emerge any credible evidence linking him to the alleged crimes. Just last week, Brunson had his third hearing in court, where he was sent back to prison and assigned yet another court appearance in September. Jacqueline pointed out in her speech that Turkey has not been able to produce one credible witness or piece of evidence to name her father as guilty. United States senators have called Brunson’s imprisonment as hostage diplomacy, as the Turkish government has not been able to prove anything. The President Erdoğan has suggested that if the United States wants Brunson released they must send Islamic cleric Fethullah Gulen back to Turkey. Gulen was accused of leading the coup against Erdoğan and currently residing in the United States. Furnari added that she has had to go through two major life events without her dad, thanks to the corrupt Turkish government: her college graduation and her wedding. Instead of having a big wedding celebration, Furnari got married in a civil court in February 2017, due to her desire to have her dad present at a formal wedding. She added how her dad had also missed her graduation, and will probably miss her brothers in December if the Turkish government doesn’t free her father. Furnari also shared that her father lost an incredible amount of weight —50 pounds — while being held in Turkey. Brunson has a son who is currently at Cornell University and a younger son who is a senior in high school. Both are missing their dad to help them make career decisions, and walk beside them in this chaotic time of life. “These are the things that pain my dad the most — not being able to be with us and missing out on life with his family,” she said. In August 2017, Jacqueline was allowed to visit her father for the first and only time. “In his trial last week, my father forgave the witnesses who falsely testified against him, saying, ‘My faith teaches me to forgive, so I forgive those who testified against me.’ He went on to say, ‘It is a privilege to suffer for the sake of Christ,'” Jacqueline said as she again choked up with emotion. Pray for Andrew Brunson’s safe and speedy return to the United States, and for his family while they endure this trying time.